Dr. Alta Mauro is the founding director of Spiritual Life & Intercultural Education at New York University Abu Dhabi, United Arab Emirates, where she leads institutional efforts related to diversity, equity, and inclusion, and the intercultural competence of students, staff, and faculty. She finds implementing cultural work in the heart of the Middle East both challenging and exciting. This diverse and multicultural society provides a unique backdrop for Alta to consider what it means to be a wife, mother, daughter, sister, colleague, and mentor, educating from the intersection of Black diasporic, critical, womanist perspectives rooted in cultural humility, social justice, and equity. Alta earned a Ph.D. in Educational Leadership and Cultural Foundations from the University of North Carolina at Greensboro. Her dissertation, Identity (re)Determination Among Upwardly-Mobile Black Women, focuses on shifting notions of self, identity, and belonging among African-American women who have been acculturated in sociocultural spaces which are markedly different from their home communities. Other areas of Alta’s professional expertise include sustained intercultural dialogue, engaging culturally-relevant pedagogy across academic disciplines, and diversity, equity, and inclusion (DEI) capacity-building across student affairs functions. Alta has co-authored two refereed book chapters, additional articles related to DEI and global education issues, and published poetry in a recent higher education anthology. Iris Berdrow is a tenured associate professor of management at Bentley University (Waltham, MA, USA), has taught at Harvard University Summer School (Cambridge, MA, USA), as well as internationally in France, Germany, Austria, Scotland and Morocco. She holds an MBA and Ph.D. with a concentration in Organizational Behavior and International Management from the Richard Ivey School of Business, London, Canada. Iris has published extensively on her research interests of intercultural effectiveness, globally-oriented pedagogy, effective assessment, employee competencies and competency-based education. Porshè Chiles (she/her/hers) is the Assistant Director for Cross-Cultural Engagement in the Wake Forest University Center for Global Programs and Studies, where her work is aimed at fostering meaningful intra-cultural/intercultural relationships and understanding from a global context. Previously, she worked at the University of North Carolina at Greensboro as the Assistant Director for Intercultural Engagement and the University of North Texas, where she co-created/co-facilitated the Introduction to Study Abroad course and served as the Study Abroad Exchange Coordinator. Robert Cole is currently Acting Provost at Roger Williams University. As Vice Provost he oversaw the core operational aspects of academic affairs, had budgetary planning and oversight, personnel review processes, and primary administrative responsibility for the preparation of accreditation reports. He also provided campus co-leadership on various “High Impact Practice” initiatives, student retention efforts, as well as directing Global and International programs, including study abroad. Robert holds a Ph.D. in Communication Studies. Shayla Herndon-Edmunds (she/her/hers/Shayla) is Director of Diversity Education at Wake Forest University where she develops and facilitates workshops and interventions that enhance the cultural competence of faculty, staff, and students. As a personal wellness and development professional, she helps individuals and organizations to identify their goals and strategies for moving forward toward inclusive excellence. Shayla is a first-generation college student who has received training and certifications in emotional intelligence, unconscious bias, mindfulness & intercultural development. Kelia Hubbard is the Director for International Student and Scholar Services at Wake Forest University where she is responsible for providing immigration and visa advice for the international students, faculty and staff that study and work at the university. Kelia focuses on regulatory compliance, cultural programming, training and development for the university. She has been active in presenting at state, regional and national conferences on topics ranging from regulatory compliance to supporting the international population on college campuses. Alyson Hyman is Associate Director of the Global Business Center at Kenan-Flagler Business School, University of North Carolina at Chapel Hill. She manages the Inclusive Global Leadership courses, which use non-traditional syllabi whereby students develop their global knowledge, intercultural skills and attitudes. She also designs and facilitates creative experiential sessions that help students, faculty, and staff expand their intercultural capacity. Alyson holds a BA from Duke University and an MPH from the University of North Carolina at Chapel Hill. Julia Kruse, Ph.D., is Executive Director of the Global Business Center at the Kenan-Flagler Business School, University of North Carolina at Chapel Hill. With over 20 years of experience, she is an innovator in global education and strategy. She oversees the School’s strategic Dean’s Global Education Initiative and Inclusive Global Leadership classes to increase the global competencies of all students, faculty and staff. Julia also designs and conducts global leadership training for corporate audiences. Susan Lee Pasquarelli earned her doctoral degree in Language, Literacy and Cultural Studies from Boston University, and is a Professor of Literacy Education at Roger Williams University. Integrating multicultural literature across the K-12 curricula is the focus of her research and teaching. Since 2005, Susan led successful short term study abroad programs in Rome and Sicily as well as served on the RWU study abroad advisory board to enhance the proposal process for faculty-led programs. Michael J. Tyson is the Assistant Director for Study Abroad in Wake Forest University’s Center for Global Programs and Studies where he has served as the dedicated representative for all summer abroad programming since 2010. He has led student service trips to Jamaica and Russia and has also spent time teaching English in Mexico. Mike holds a BA from the University of North Carolina at Charlotte and an MEd from the University of South Carolina. Adam Agostinelli is an English instructor at Louisiana State University, whose research and practice revolves around applied linguistics and international education. He holds an MA from Columbia University. He has held teaching positions at the Korean Naval Academy and at various language programs in New York City. Dr. Amer Ahmed is founder and CEO of AFA Diversity Consulting LLC, a practice dedicated to helping institutions and leaders address diversity, inclusion, equity, and intercultural development through consulting, coaching, group facilitation, and keynotes. He also serves as Director of Intercultural Teaching and Faculty Development at University of Massachusetts Amherst, Faculty at the Summer and Winter Institutes for Intercultural Communication, and is a member of SpeakOut: Institute for Democratic Education. Daniel Albertson joined the Office of Study Abroad at the University of St. Thomas as Associate Director in January. Previously, he served as the Associate Director of the Center for Global Education at Gettysburg College and as a Study Away Advisor at Concordia College-Moorhead. Dan has worked extensively with student advising and recruitment, preparing students for studying abroad, re-entry, and program development. He has an MA from the University of Chicago Divinity School. Joseph Allen is a Doctoral Candidate in the Curriculum and Instruction: Urban Education program at the University of North Carolina at Charlotte. He teaches a course focused on an interdisciplinary approach to pre-service teacher education, infusing contemporary pedagogical theory with classic theories of intercultural communication. Joseph’s research interests include examining the role intercultural communication plays in teacher/student relationships and in the academic success of marginalized students. Brandy Arellano manages programs at the Center for Global Initiatives at the University of North Carolina at Chapel Hill. After receiving her undergraduate degree in psychology from UNC, she worked in various education-focused capacities in South Korea, New Zealand, and cruise ships through Alaska and the Dutch Caribbean. She is currently working on her master’s degree in Counselor Education at North Carolina State University. Shingo Ashizawa is Professor in the Faculty of Global and Regional Studies at Toyo University in Tokyo, with focus on international, entrepreneurial, and community development studies. He has organized numerous international higher education workshops and is a regular presenter at NAFSA, EAIE, and AIEA. Shingo studied at Harvard’s Graduate School of Education as a Fulbright scholar and has led international education programs for more than 25 years. Elizabeth Barajas has extensive international experience developing and managing higher education partnerships, global projects, and collaborative learning. At Purdue University, she works with faculty and students to develop plans and programs that increase intercultural competencies within STEM programs. A licensed educator in Indiana, she holds a master’s in Applied Spanish Linguistics from Purdue University. Susan M. Barone, Ph.D., is Executive Director of International Student Programs in the Vice Provost Office of Learning and Residential Affairs and Senior Lecturer in Peabody College’s Department of Teaching and Learning at Vanderbilt University. She has executive administrative oversight of the English Language Center and International Student and Scholar Services. Annette Benson has spent the last 15 years creating innovative programming in the areas of diversity & inclusion, student integration, and intercultural learning for the Housing & Food Services, Human Resources, and International Programs divisions at Purdue University. A graduate of the Brian Lamb School of Communication at Purdue, she serves as the communication strategist for the Center for Intercultural Learning, Mentorship, Assessment and Research. Iris Berdrow is a tenured Associate Professor of Management at Bentley University and has taught at Harvard University Summer School as well as in France, Germany, Austria, Scotland, and Morocco. She holds an MBA and Ph.D. with a concentration in Organizational Behavior and International Management from the Richard Ivey School of Business, London, Canada. Iris has published extensively on her research interests of intercultural effectiveness, globally-oriented pedagogy, effective assessment, employee competencies, and competency-based education. Karen Bishop Morris is Interim Dean of the Honors College at Purdue University Northwest. She received her Ph.D. in English with an emphasis in Rhetoric and Composition from Purdue University in West Lafayette. Her work centers on the creation and implementation of high impact practices for first-generation students and underserved youth, including leading study abroad programs to Australia and Japan. As Purdue University’s Assistant Director of Study Abroad and Intercultural Learning Mentor, Michael Bittinger embraces the Challenge & Support model to inspire student engagement within their host communities. Michael’s unique role includes advising, marketing, program design, administration, and course instruction. He oversees Purdue’s Global Leadership programs for incoming freshmen, as well as the Purdue Summer in Florence. Makenzie Branscum earned her BA from the University of North Carolina at Charlotte in International Studies with a minor in Sociology and Spanish. After working in the mental health field for two years, she has returned to her alma mater to pursue a Master of Social Work degree. Ashley Brookes is a Study Abroad Advisor at Wake Forest University, where her portfolio includes semester affiliate programs and Community-Based Global Learning programming in sub-Saharan Africa. After graduating from Gettysburg College, Ashley started in the field of study abroad at College Year in Athens before moving to Boston College, where she worked in BC’s Office of International Programs and earned her MA in International Higher Education. Beate Brunow, Ph.D., serves as Director of Academic Partnerships and Initiatives in the Division of Student Affairs at the University of Georgia. Her work focuses on developing partnerships across the institution to enhance student learning and advocate for seamless integration of curricular and co-curricular learning. Her research interests focus on the Scholarship of Teaching and Learning, Foreign Language Pedagogy, and the integration of intercultural competence into foreign language and study-away curricula. Nelson Brunsting is the Director of Global Research and Assessment in the Center for Global Programs and Studies at Wake Forest University. Nelson earned his MA in Classics at Victoria University in Wellington, New Zealand, and his Ph.D. in Educational Psychology at the University of North Carolina at Chapel Hill. 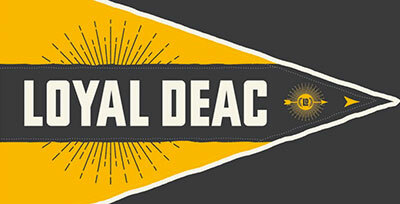 He leads the Academic and Cultural Transition (ACT) Research Team at WFU. Charles A. Calahan, Ph.D., directs Global Learning Faculty and Student Development in the Center for Instructional Excellence at Purdue University. He is an award-winning teacher, Diversity Fellow, Service-Learning Fellow, and a Member of the Teaching Academy. As a liaison for students and faculty, Misty Clugh is an integral part of the process that facilitates international academic stays in the United States. She manages programs for Purdue University faculty and students going abroad. Misty graduated from Indiana University and was a student study abroad participant in Italy. Robert Cole (Pre-Conference Workshop Facilitator) is currently Acting Provost at Roger Williams University. As Vice Provost he oversaw core operational aspects of academic affairs, budgetary planning and oversight, personnel, and accreditation reports. He also provided co-leadership on various “High Impact Practice” initiatives and student retention efforts, as well as directing Global and International programs, including study abroad. Cole holds a Ph.D. in Communication Studies. Marcia Crippen is a Study Abroad Advisor at Wake Forest University, where she advises students on semester study abroad opportunities and works on the Community-Based Global Learning programs in Southeast Asia and sub-Saharan Africa. She holds a Master’s Degree in International Education from Old Dominion University. Marcia is currently pursuing a Doctorate of Education in Educational Leadership from the University of North Carolina at Charlotte. John Dizgun earned his Ph.D. in Latin American History and Global & Comparative Studies at Rutgers University. He is Executive Director of the Kentucky Institute for International Studies (KIIS) and Scholar-in-Residence at Western Kentucky University. He oversees all aspects of the present operation and future development of KIIS, a non-profit study abroad consortium of 24 colleges and universities that runs thirty faculty-led programs. Bri Dostie works with the Council on International Educational Exchange (CIEE) as Manager of Faculty-Led & Custom Study Abroad Programs. Collaborating with international staff and U.S. institutional partners to develop faculty-led and customized study abroad program options, her professional focus integrates intercultural skills building opportunities in short-term programming and consulting institutions on building capacity and sustainability. Angie Edwards is the Director of the Myrta Pulliam Center for International Education at Queens University of Charlotte. In this role, she oversees international student services, international partnerships, campus programming, and education abroad. Prior to joining Queens, she worked at Winthrop University, Colorado College, and Texas A&M. Pamela Fields is Deputy Secretary-General for the U.S.-Japan Conference on Cultural and Educational Interchange (CULCON). In addition to leading work in U.S.-Japan intercultural programs for 27 years, Fields has served as vice president of an international consulting firm in Washington, D.C. and worked as a broadcaster for NHK in Japan. Fields earned a master’s in international business with a focus on Japan, from Bryn Mawr College. Dianne Ford serves as the Coordinator of Library Electronic Resources and Associate Librarian in Belk Library at Elon University. She leads the e-resources team and serves as liaison to undergraduate departments in biology, environmental studies, exercise science and public health studies, and to graduate programs in health sciences. Carla Fullwood’s professional interests include designing and facilitating learning opportunities on anti-bias, intercultural competency, and intergroup dialogues. Carla earned a master’s in Student Affairs Administration in Higher Education from Ball State University and is currently pursuing a Ph.D. in the Educational Leadership and Cultural Foundations program at the University of North Carolina at Greensboro. Joy Gambill has worked for 12 years as an Instruction Librarian at the Wake Forest University Z. Smith Reynolds Library. She teaches “LIB100: Academic Research and Information Issues.” She enjoys spending time with international students and has applied this interest to her role on the Global Connections Advisory Board at WFU. Joy holds a Master of Science in Library Science from the University of North Carolina at Chapel Hill. Charmion Gustke is an Assistant Professor of English at Belmont University, where her courses focus on the interdisciplinary practices of writing, reading, and cultural analysis. She has led five consecutive trips to South Africa and Botswana, with her immersion in those cultures shaping her pedagogy and her civic engagement. She is a National Endowment of the Humanities grant recipient and holds a Ph.D. from George Washington University. Stephanie Guzman is International Programming Coordinator at the University of North Carolina at Greensboro. She is responsible for implementing programs and advising international degree-seeking students. Certified in TESOL, Stephanie is passionate about designing programs that help students share cultural and linguistic connections and build lasting friendships. Dr. Eric Hall is a Professor of Exercise Science at Elon University. His primary research interests are in the area of physical activity and mental health, as well as the impact of concussions in student-athletes. Additionally, he is interested in the influence of high impact practices on student development and role of faculty in mentorship of high impact practices. At Elon he has received awards for his mentorship of undergraduate students and scholarship. Tara Harvey, Ph.D., is Founder of True North Intercultural LLC, which provides training, tools, and support to empower busy educators committed to making a positive impact in the world to facilitate deeply transformative intercultural learning experiences (abroad and at home). Tara has been in the international/intercultural education field for more than 18 years. Yueying (Mary) He is a junior at Wake Forest University. She is an international student from Guangxi, China. Yueying is interested in promoting positive changes for the international student population through research, and plans to be a school psychologist in the future. Sylvia Henneberg is an English Professor at Morehead State University in Kentucky. She is also the Co-Director of a summer study abroad program in Berlin offered by the Kentucky Institute for International Studies. Henneberg has published a book and numerous articles on women’s writing and recently returned from her second Fulbright in Europe. Katie Hoffer is an Instructor of English and Co-Director of the Global Scholars Program & Study Abroad at Nash Community College in Rocky Mount, North Carolina. She focuses on developing globally competent students through study abroad, facilitating on-campus global activities, helping faculty globalize courses, partnering with the University of North Carolina WorldView’s Global Distinction program, and leading student groups. Joanna Holvey Bowles is Director of Off-Campus Study at Colgate University, following many decades working with international third party providers. She earned her MS in Global & International Education from Drexel University and spent a year abroad at the University of East Anglia, England. Joanna is active in the field with multiple publications and dozens of sessions, workshops and trainings at NAFSA and the Forum on Education Abroad. Ashley Hopkins is a Senior Assistant Director for Miami University’s Student Success Center. Ashley is responsible for providing retention support to international students, developing and coordinating international student support initiatives in collaboration with campus partners, and overseeing intercultural communications programs that engage both domestic and international students. She holds a doctorate in Educational Administration from Ohio University. George Kacenga is the Executive Director of Global Engagement for Purdue University Northwest where he leads strategic efforts to extend global programs and initiatives. He is the President-Elect of the American International Recruitment Council (AIRC) and serves on the campaign steering committee for the Fund for Education Abroad. 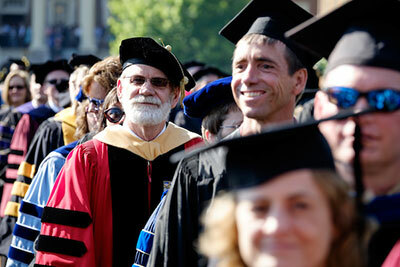 George received his Ph.D. in Social and Comparative Analysis in Education from the University of Pittsburgh. Morgan Keller holds an MA in International Education Management from Middlebury Institute of International Studies. His international experiences include teaching English as a foreign language in Japan for eight years, serving in the Peace Corps in Ecuador, and studying abroad in Siena, Italy. At Clemson University, he develops programs and events in addition to his immigration responsibilities as an International Services Advisor. After extensive experience traveling and studying in Europe, Joe Kennedy earned his MA in European Studies from George Washington University’s Elliott School of International Affairs. His passion for travel, language, and international education ultimately led him to CET Academic Programs, where he joined the Campus Relations team in 2017. Caroline Ketcham, Ph.D., is Professor and Chair of Exercise Science and Co-Director of Elon BrainCARE at Elon University. Caroline’s expertise is in the area of movement neuroscience. Caroline is also engaged in high-impact practice research including co-mentoring undergraduate research for student and faculty development, student-athlete access and engagement, and capstone experiences. Prudence Layne is Associate Professor of English at Elon University. She has considerable experience as a faculty leader and administrator of study abroad and curriculum development. Her international education research foci include methods for enhancing diversity and building sustainable practices into study abroad, and examining the impact of participating in short-term study abroad programs on student and faculty learning. Tabetha Maly is an International Student Advisor for Miami University’s International Student and Scholar Services Office, where she is responsible for advising international students on topics related to immigration, academics, intercultural communication, and adjustment to life in the U.S. She also liaises with academic divisions and campus partners to assist with academic support services and retention. Michael Massingham co-founded EDU Africa in 2003, an organization facilitating study abroad in Sub-Saharan Africa, where he currently holds the title of South African Director. Michael is primarily interested in sustainable community development, ethical global exchange, student transformation methodologies, and environmentalism as they pertain to study abroad on the African continent. Alan R. Masters has an MS and Ph.D. in Zoology from the University of Florida. He has lived in Monteverde for over twenty years. He is the Director of CIEE’s Tropical Ecology and Conservation summer study abroad program. Since teaching with CIEE, Alan’s interests include not only plant-animal interactions but all facets of tropical diversity and conservation. Dan Mathewson is Associate Professor of Religion and Director of New Faculty Teaching Initiatives in Wofford College’s Center for Innovation and Learning. Dan has extensive experience incorporating off-campus, experiential assignments into his introductory and upper-level courses. Sean McGlynn advises students considering summer and short-term programs in all regions and disciplines at Wake Forest University. Previously, he worked as a University Relations Coordinator at CISabroad and has spent the past three summers in Europe with a faculty-led architecture program from California Polytechnic State University. He received a BA at Plymouth State University and spent five months studying in Buenos Aires, Argentina. Adriana L. Medina is an Associate Professor at the University of North Carolina at Charlotte. She leads the elementary education study abroad program to Germany. She teaches courses in content area literacy, reading comprehension, reading assessment and intervention, teaching reading to English language learners, and multicultural education. She has published research on the impact of study abroad experiences on pre-service teachers. Matthew Miller is the Associate Professor of German at Colgate University as well as the Chair of the German Department and the Chair, Off-Campus Study committee. Professor Miller has led the Colgate semester-long Study Group in Freiburg twice. The program is based at the University of Freiburg, where students take courses in German with degree-seeking students. Kawana Neufville specializes in the psycho-social aspects of disability, medical and physical disabilities, as well as the use of technology to address disability concerns. 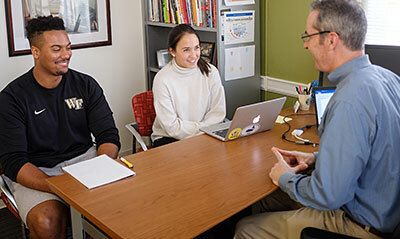 Additionally, Kawana coordinates disability documentation across Wake Forest University’s campus, provides academic and disability management counseling, and supervises the tutoring and peer mentoring programs offered through the Learning Assistance Center. Britton W. Newman is an Assistant Professor of Spanish at Wofford College. His research interests include the scholarship of teaching and learning, the integration of intercultural competence into foreign language and study abroad curricula, and contemporary Cuban literature. He has published articles in Revista Canadiense de Estudios Hispánicos, Latin American Literary Review, and La Habana Elegante, among others. Joyce Osland, Lucas Endowed Professor of Global Leadership, is Executive Director of the Global Leadership Advancement Center, San Jose State University. She co-edits Advances in Global Leadership and Global Leadership: Research, Practice, and Development. Joyce won the highest teaching award in her field due to GLAC’s Global Leadership Laboratory assessment center methods. She consults with universities and global organizations and is a Kozai Group senior partner. Arianne Ouedraogo is a senior at the University of North Carolina at Greensboro. She studies political science and business with a pre-law concentration. Arianne studied abroad at the University of Cape Town, South Africa, is a Gilman Alumni Ambassador, Outreach Coordinator for Stateside, and works as a Front Desk Coordinator at the International Programs Center at UNCG. Arianne is also a member of the Peer Advisor and Liaison (PAL) Program, which helps exchange students become acclimated to the UNCG campus. Bob Page is Advisor to Student Media at the James L. Knight School of Communication, Queens University of Charlotte, teaching courses in the media industry, journalism, digital media production, and sports communication. Before Queens, Page served as a Director of Communication for the Chinese technology company Lenovo, during its technology sponsorship of the Torino 2006 and Beijing 2008 Olympic Games. Page earned an MBA from Queens. Dr. Heidi Parker is the Assistant Director of the Latin America/Spain Program for Purdue’s Global Engineering Programs and Partnerships. She implements a competitive grant from the U.S. Department of State to significantly increase the number of transformative experiences in the Americas, including study abroad, internships abroad, and international research collaborations. She leads study abroad programs and teaches various Engineering courses designed to develop intercultural competence and to prepare students to study overseas. Nicole Caridad Ralston is a higher education professional dedicated to critically understanding and unpacking systems of oppression in education. Nicole earned her MA of Higher Education Administration at North Carolina State University. She is currently a doctoral candidate at The University of New Orleans. Maggie Reasons earned her BA in English from the University of North Carolina at Charlotte and is now obtaining a master’s degree in Social Work. She was adopted from China as a child and has a strong interest in international communities and cultures. As Program Coordinator for Global Campus Programs at Wake Forest University, Kara T. Rothberg works with the Global Village Living & Learning Community and serves on the WISE Conference planning committee. She has worked in campus internationalization at Long Island University and Duke University. She holds an MA in International Education from Teachers College, Columbia University. Dr. Diana Rowan is an Associate Professor in the School of Social Work at the University of North Carolina at Charlotte. She developed a spring break faculty-led study abroad program with a service learning focus in Malawi in southeastern Africa and has conducted the course for eight years. She is the recipient of the International Faculty of the Year award at UNC Charlotte. Patrick Rudd is the Coordinator of Instruction and Outreach Services at Carol Grotnes Belk Library, Elon University. His current focus is research instruction to first-year students, library assessment, and civic engagement initiatives focused on libraries and young readers. Sarah Russell, Ph.D., is an Academic Dean for Trinity College of Arts and Sciences at Duke University and the director of Undergraduate Research Support Office. Prior to her current position, Sarah advised students on global and civic curricular opportunities, facilitated programs to develop students’ global awareness, and mentored undergraduate projects that combined social science research with cross-cultural inquiry. Alexa Schwartz supports Tulane University students interested in intentional community engagement experiences in New Orleans and abroad with the Center for Public Service. Alexa graduated from Tulane with a BA in Latin American Studies, Anthropology, and Spanish and an MA in Spanish. Dr. Whitney Sherman serves as Academic Director, Intercultural Learning for the Council on International Educational Exchange (CIEE). Prior to joining CIEE, she directed international programs for the University of Southern California Annenberg School for Communication and Journalism. Dr. Sherman also founded Intercultural Adventures LLC, a gap year counseling practice, and serves as an adjunct instructor in the intercultural competence specialization at the Middlebury Institute of International Studies at Monterey. Nicole Simpson is the W. Bradford Wiley Professor of Economics at Colgate University and the former Associate Dean of the Faculty for International Initiatives. She has led two semester-long programs in London and a short-term program to Argentina with Colgate. As Associate Dean, Nicole coordinated the expansion of institutional partnerships and exchanges, support for faculty scholarship abroad, and curricular initiatives related to internationalization. Evan Small serves at the Assistant Director of Experiential Learning and Outdoor Adventures at Elon University, where he oversees outdoor education programming and teaches in the School of Education. Evan holds an MEd in Adventure-Based Learning and is currently pursuing a Ph.D. in Educational Leadership with a focus in experiential education. Dr. Carol A. Smith, Associate Professor in the Department of Education & Wellness at Elon University, holds an MEd in Health and Physical Education and a Ph.D. in Kinesiology with a concentration in Outdoor Education. Her major responsibilities at Elon include Program Coordinator of the Adventure Based Learning concentrations. In January 2013, she returned to study abroad, leading an adventure-based learning and eco-tourism class to New Zealand. Tamika Smith is majoring in psychology at the University of North Carolina at Greensboro. She previously studied abroad in Cape Town, South Africa, where she was able to gain insight into the post-apartheid issues South African youth are facing. She has held a leadership role as a Student Coordinator of Peer Education with the Office of Intercultural Engagement and is a Gilman Scholar. Niklaus Steiner is the Director of the Center for Global Initiatives at the University of North Carolina at Chapel Hill. Niklaus earned a Ph.D. in political science at Northwestern University. Because of his own movement across borders and cultures, his research and teaching interests are immigration, refugees, nationalism, and citizenship. His textbook, International Migration and Citizenship Today (Routledge, 2009), aims to facilitate classroom discussions on admission and membership in democracies. Linda Stuart is the Education & Training Specialist for Sentio Global Education Network, a subsidiary of AFS Intercultural Inc., where she manages the Global Competence Certificate. She is President of Alma Inc. and previously was Global Citizens Network’s Executive Director. Linda is a Qualified Administrator of the IDI, GCI, IES and holds an executive coaching certificate from the University of Minnesota. Linda has an MA from the University of Chile. Rebecca Thomas is Professor of German at Wake Forest University, the Program Director for the Wake Forest Flow House in Vienna, Austria, and a member of the language faculty for the American Institute of Musical Studies in Graz, Austria. She has led countless short and long-term study abroad programs and conducted research on psychological and cultural adaptation in students abroad. Beth Tucker is an Intercultural Learning Specialist in the Center for Intercultural Learning, Mentorship, Assessment and Research at Purdue University. She coordinates the International Friendship and Host-A-Boiler Programs, pairing international students with local community hosts for friendship, intercultural learning, and cultural exchange. Beth holds an MA in Intercultural Studies from Wheaton College. Katherine L. Turner, MPH, is President of Global Citizen LLC consulting firm that strengthens leaders’ and organizations’ capacity to advance public health, human rights, intercultural relations, equity, diversity, and inclusion. She is also Adjunct Faculty at the University of North Carolina Gillings School of Global Public Health. She is a seasoned organizational and community thought leader, public speaker, educator, and author. Dr. Sandra Upton leads the Cultural Intelligence Center’s educational efforts. She has more than twenty years of experience training and consulting with universities and businesses around the globe, including the Harvard Business School, London School of Economics, University of Michigan, and Stanford University. Maureen Vandermaas-Peeler, Ph.D., is a Professor of Psychology and Founding Director of the Center for Research on Global Engagement (CRGE) at Elon University. A developmental psychologist, Maureen studies sociocultural and global contexts of learning. As director of CRGE, Maureen facilitates collaborative scholarship on global engagement on campus as well as nationally and internationally. Yuanqi (Suzy) Wang, MEd, is a Study Abroad Advisor and Maymester & Exchange Coordinator in the Global Education Office, Vanderbilt University. Suzy has seven years of professional experience in international education, including academic research, educational exchange and faculty-led programming, partnership management, program assessment, and student advising. Originally from Zhengzhou, China, Suzy brings unique perspectives to her work in intercultural learning and internationalization in the U.S. higher education context. Dr. Tim Welliver is an Associate Professor of History at Bellarmine University in Louisville, Kentucky. He has taught in study abroad programs in Istanbul and Berlin. Hu Womack is an Instruction and Outreach Librarian in the Z. Smith Reynolds Library at Wake Forest University. He holds a BA and MBA from Wake Forest University and completed his MLIS degree from UNC Greensboro. He currently serves as a member of the Research and Instruction Services team and is the liaison for the departments of Sociology and Communication. He serves on the ZSR Library Diversity and Inclusion Committee as well. Martin Wong is an Associate Professor of Geology at Colgate University and is the current Associate Dean of the Faculty for International Initiatives. As Associate Dean, he assists with the development and management of 18-20 Colgate-led semester-long study groups each year, as well as a variety of shorter off-campus study programs. He has led one Colgate study group to Wollongong, Australia for natural science students as well as a number of geology excursions. Amy Wruck is a Studies Abroad Assistant at the University of Portland where she advises students on study abroad opportunities and develops programming for pre- and post-study abroad. She has worked in International Education for three years and holds a master’s degree in International Education from Old Dominion University. Yihan Zheng is a third year international student at Wake Forest University from Beijing, China. Yihan is a Mathematical Economics major and his research focus is on international students. Joshua Ziesel is a Staff Psychologist with the Counseling Center at Wake Forest University. Joshua’s past research has explored the role of social media in the transitional experiences of college-age Third-Culture Kids. 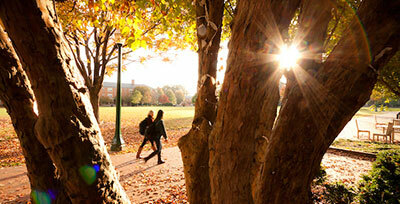 He specializes in providing psychological services to international students.